This is some Batman cosplay with a difference. Rather than try to copy the Dark Knight’s appearance from any number of comics, movies or games, frigginboomtoys has decided to try something more original, and imagine “Poor Batman”. It’s from a universe where, instead of being born rich, Bruce Wayne is actually dirt poor, and has to scrounge and cobble together his batsuit however he can. 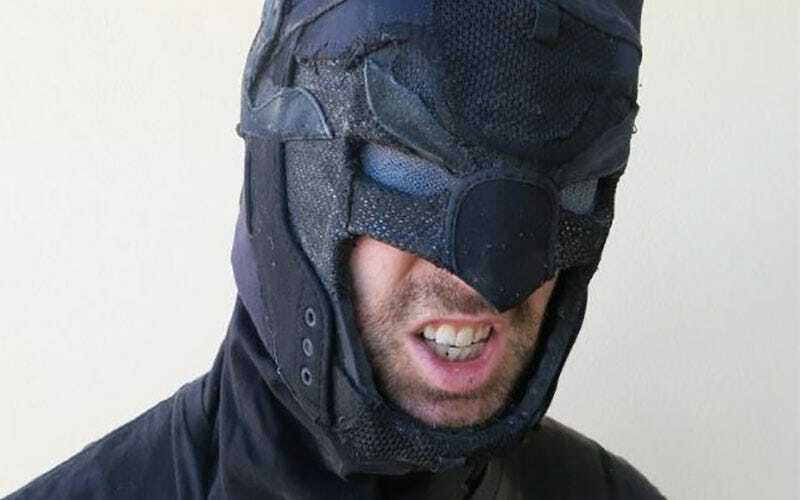 In this case, the cowl is made entirely from cut up pieces of old shoes. And it looks incredible. Cosplay by Friggin Boom Toys, whose superhero-proof helmet we posted last year.